Registration under Other Service Providers (OSP) category As per New Telecom Policy (NTP) 1999, Other Service Providers (OSP), such as tele-banking, tele-medicine, tele-trading, e-commerce etc. will be allowed to operate by using infrastructure provided by various access providers for non-telecom services. 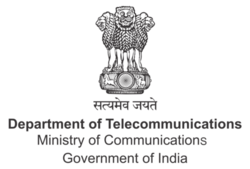 The Telecom Commission in May 1999, accorded in principle approval for registration of Call Centers, both International and Domestic, in the country under the above category. Later, services like Network Operation Centers and Vehicle Tracking Systems, were also added to this category. As per the Terms and Conditions formulated by the Telecom Commission in February 2000, these application Service Providers could take telecom resources from authorized Telecom Service Providers only and may not infringe upon the jurisdiction of other authorized Telecom Service Providers and they will not provide switched telephony. The Department of Telecommunication (DOT) will charge a processing fee of Rs.1000/- per case. From its inception, over 2500 cases have been registered under OSP category till date. These companies should meet the revised terms and conditions of OSP registration. Registration of OSPs and Telemarketers is done by the respective Telecom Enforcement, Resource and Monitoring (TERM) Cells (formerly known as VTM Cells) as per location of the OSP/Telemarketing Centre. Looking for IT Infra Solutions. ?